Middle East is currently under an intense wave of heat since Thursday. The temperature is extremely high even above 52 degrees centigrade. 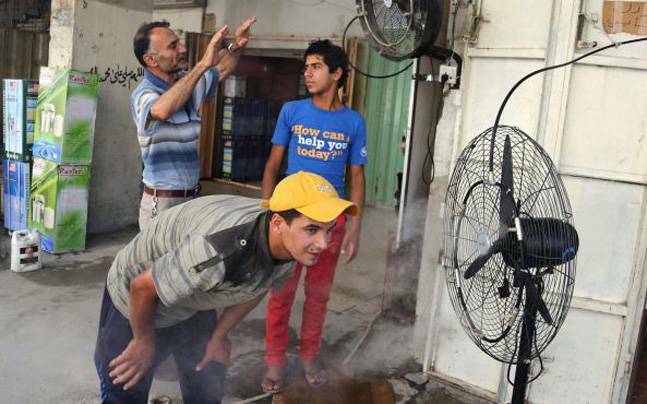 This climatic condition has even prompted the Iraqi authorities to declare a 4-day work free days to cool off. Iraq lacks beaches unlike other Middle East countries; and travel restrictions make it very difficult for people to seek respite elsewhere. A Filipino migrant rights activist collapsed and later died of apparent heat stroke during a visit to his country's consulate in Dubai this week. People have been advised to stay out of the sun and also drink plenty of water.